With its sweeping bays, gleaming tubes and sparkling Atlantic rollers, it’s easy to see why the North Cornwall coast is considered one of the most exciting surf destinations in the UK. 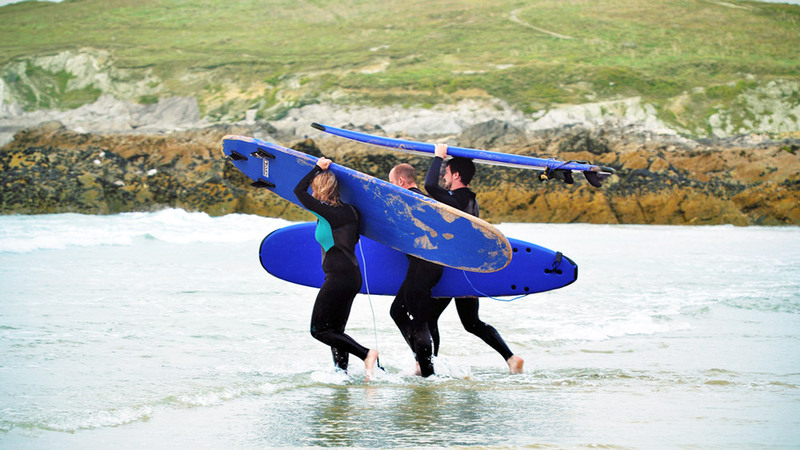 If you’re planning a stay in one of Toad Hall’s characterful Cornish cottages and love the idea of dropping in on your very first Cornish roller, then why not sign up with a North Cornwall surf school and get some expert advice from a local surf guru. It doesn’t matter if you’re eight or eighty, flying solo or visiting with beach buddies, once the soul sport of surfing grabs you, you’ll be hooked! Described by the Sunday Times as the ‘best surf school on the North Cornish Coast’, Harlyn Surf School offers an exciting range of watersports, including stand up paddle boarding, coasteering and kayaking. 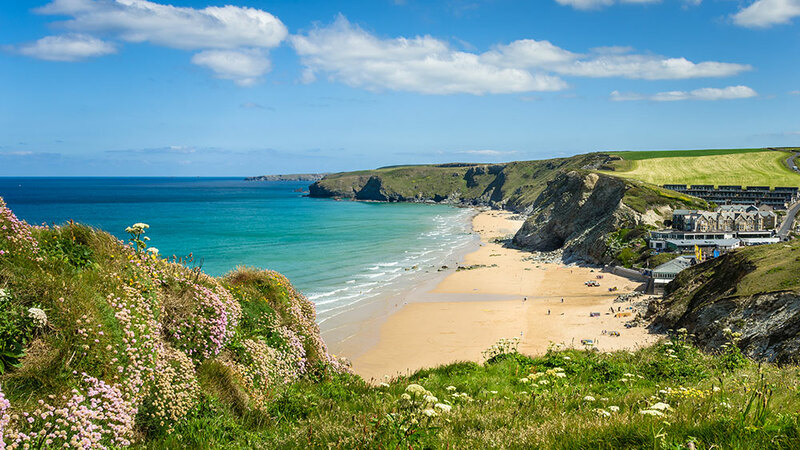 Learn to ride the gleaming North Cornwall swells off Harlyn beach, a beautiful spot tucked away on the Trevose Head Heritage Coast and sheltered by granite cliffs. It’s the ideal setting for fledging wave-riders to find their feet, away from the busier and more energetic breaks. Led by local surf guru, Chris Rea, you’ll be encouraged to embrace all aspects of this exciting and soulful sport. The Big Blue Surf School has been teaching surfing novices for more than fifteen years having seen hundreds of men, women and children graduate through its sea salty ranks – many of them returning year on year. Whether you’re a solo wannabe surf dude, a gang of friends chasing the waves for an endless summer, or a family looking to share in a ‘gnarly’ ocean adventure together, as long as you are over eight years old, are reasonably fit and can swim fifty metres, the instructors at ‘Big Blue’ will have you out and paddling in the sparkling waters of Summerleaze Beach, ready to drop in on your first Cornish break! Open all year round, Big Blue also have specially trained instructors who are able to run exciting surf sessions for children with disabilities and autism. North Cornwall’s Fistral Beach is known as ‘the home of British Surfing’ and has over the years played host to an impressive array of high-profile surf championships. It’s here, along this golden stretch that you’ll find the Fistral Beach Surf School, a community of dedicated surf coaches offering tuition to all ages and abilities, from complete beginners to competitive surfers. The school is open whatever the season and all equipment is provided. Conquer your nerves and learn the soulful science of surfing when you sign up for a coaching session at the Extreme Academy – experts in watersports. Watergate Bay is a beautiful sweep of sandy shoreline and renowned for its consistent breaks and occasional barrels. Whether it’s surfing, stand up paddle boarding, kite surfing, hand-planing or body boarding that bounces your barnacle, the wave masters at ‘Extreme’ are on hand to guide you through the ocean motions and have you riding the tides. The Freewave Surf Academy coaches all share a ‘devotion to the ocean’ and are all Cornish surfing legends in their own right, so you couldn’t be in more capable hands. The waters around Widemouth Bay are ‘pretty rad’ when it comes to watersports and the waves here are ideal for beginners (known on the surf scene as ‘groms’). If you’ve booked a stay in one of our North Cornwall holiday cottages and are looking for a fun activity for all the family to enjoy, why not check in with the Freewave Surf Academy crew and let yourselves loose on the water. 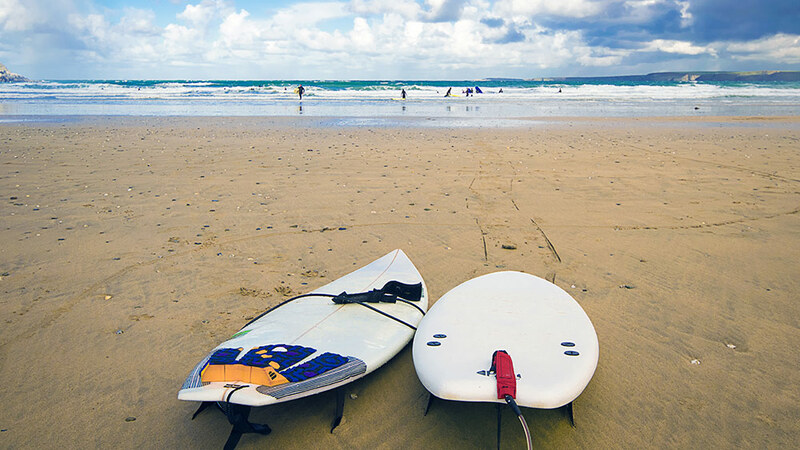 Hang Ten with Toad Hall and our long and impressive list of North Cornwall holiday cottages. We’ve been making waves in the West Country for more than thirty years with our flourishing portfolio of picturesque properties in desirable locations…we’ve even got stylish beach houses for all you surf dudes.